In the US, we’ve come to know Yamaha’s spunky middleweight naked sport machine as the Yamaha FZ-07. 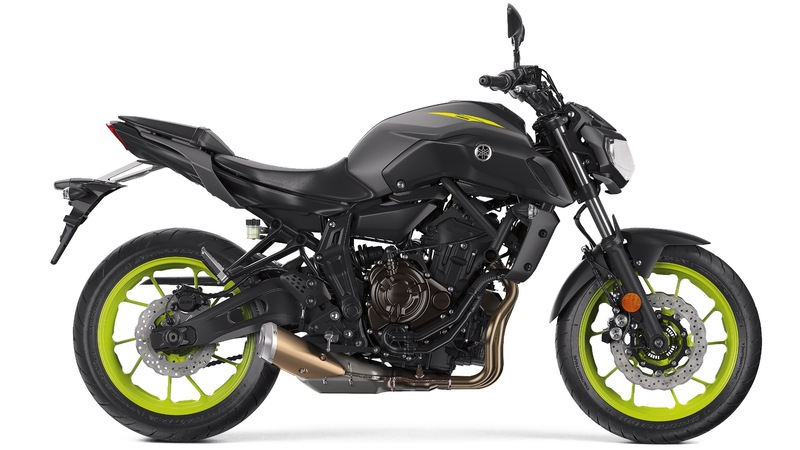 However, for the new model year, we’re going to have to become familiar with it by another name, the 2018 Yamaha MT-07. The sprightly FZ-07…err, MT-07…with its peppy parallel twin engine and nimble nature quickly earned a solid foothold within its class. Here at Ultimate Motorcycling, we appreciated Yamaha’s middleweight naked offering and it did quite well when paired against its direct competition—the Kawasaki Z650 and Suzuki SV650. We look forward to finding out how the updates improve the MT-07, but until that time, here are the dozen essential Fast Facts. Yamaha Motor Corp., USA is adopting the European naming conventions for the entire FZ line, rebranding it as the MT family in the United States. Included in the naming update are the MT-07, MT-09 and MT-10. However, unlike its big brothers, the MT-07 will be getting a few key updates. MT stands for Master of Torque. I’m sure the change to the MT family will become less jarring over time, but it’s interesting to know that it stands for Master of Torque. The 689cc parallel twin powerplant returns. The CP2 crossplane concept motor is back without any changes, and that’s not necessarily a bad thing. The MT-07 delivers its power in a linear manner that less experienced riders can manage and advanced riders will take full advantage of. It’s still a 700 in a 650 class. ABS is standard equipment on the MT-07. Claimed wet weight remains 403 pounds—same as the FZ-07 ABS. We’re excited to see that these changes didn’t tip the scales, meaning that we should only expect improved handling abilities when we get some seat-time with the 2018 Yamaha MT-07. Taking styling cues from its older brothers—the MT-09 and MT-10—the 2018 Yamaha MT-07 will feature a host of restyled elements to give it a more dashing look. Yamaha has redesigned the headlight and housing, which result in a more assertive posture. Aiding in that process are the air scoops, which are influenced by what is currently found on the MT-09. Coupled with a new fuel tank cover, the freshly designed air scoops give the 2018 MT-07 a more sleek appearance. There’s a new back end on the 2018 Yamaha MT-07. A new seat, tail section and taillight are found aboard the revised MT-07. The new tail section seems to take inspiration from the MT-10. That spices up the look of the MT-07 a bit, making the whole family of bikes lean and mean. The MT-07’s cockpit should be a bit more spacious in the coming year. Yamaha claims that the new seat offers 30 percent more real estate, allowing riders to have more room when seated on the bike. The MT-07 wasn’t particularly cramped before, though this could give a little more room for taller riders to stretch their legs. The new seat’s shape could make for a better anchoring point while leaned over. Black out components aid in the aggressive look of the 2018 Yamaha MT-07. Yamaha took care of some minor details on the MT-07 by coloring the handlebars, rearsets, and linkage black. While a small detail and alteration when it comes to painting, it does give help give it a touch darker persona. The 2018 MT-07 will be available in March 2018, and available in three colors. Matte Gray, Team Yamaha Blue, and Intensity White are the offerings for the 2018 model year. The Intensity White version recalls the paint scheme on the iconic 1979 Yamaha Daytona Special. That isn’t a huge departure, but I was partial to Rapid Red, which is no longer being offered. The MT-07 is the same price as the FZ-07 ABS. You won’t be able to save $400 by eschewing ABS. Keep in mind that you’re getting all the upgrades, including a more adjustable shock, with no price increase.